← Are You An IDIOT? caught by his eager eye. This poem by my favorite author, Anonymous, speaks to one of the great verses in the Bible. In fact, it’s the very first verse–Genesis 1:1. 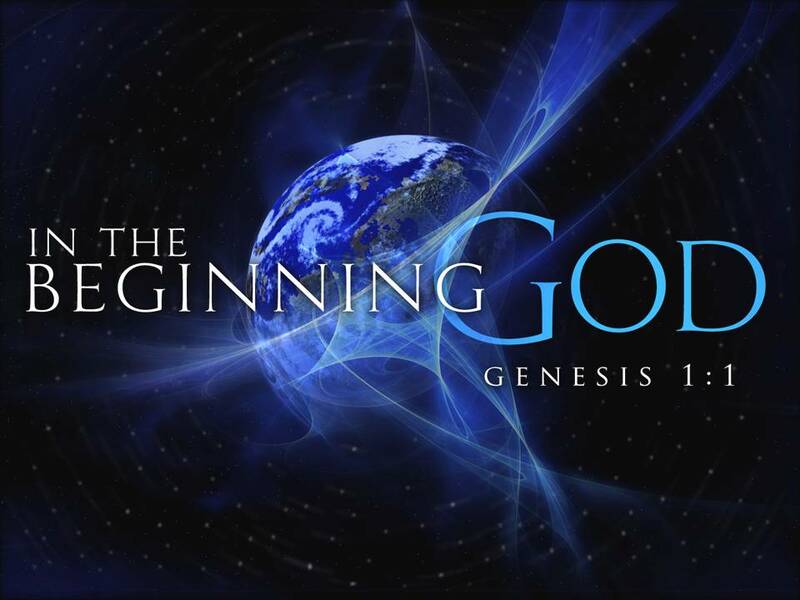 Genesis, the book of beginnings, records the creation of the cosmos and the beginning of the human race. While the Bible is not intended to be a book of science, it does not conflict with proven facts of science. In fact, five fundamental principles of natural phenomena are found in this first verse. Ironically, it was a staunch evolutionist, Herbert Spencer, an English philosopher and biologist, who in 1882 identified these basic manifestations of the universe: space, time, matter, motion and force. There was a time when scientists believed that the universe had no beginning–that it always existed. However, today, most scientists agree that the universe had a beginning. There was a point of origin. Time began. The Bible says so! God is the original “Force.” He is the “First Cause.” The Bible teaches that He is omnipotent. His power is beyond measure. Incomprehensible! Inscrutable! And incredible! When God moves things happen! The word “created” speaks to divine activity and action. It means to shape. To fashion. To form. Our God is a living and active God. He is unique. Unparalleled. Unequalled. He can create something out of nothing! God literally spoke the cosmos into existence! “By the word of the Lord were the heavens made, their starry host by the breath of his mouth.” (Ps 33:6). The sun, moon and stars are the handiwork of God creation. And they declare His glory, power and preeminence. What an incredible place is planet earth. Lawrence Richards called earth “the odd planet.” It’s different than all other planets. We are unique in our solar system with the perfect atmosphere that makes life possible. Why? Because God made the earth specially for the dwelling place of His creation! Genesis 1:1. Ten words. Simple. Succinct. And yet profound in their implication and application. Truly God has not left Himself without witness, Acts 14:17.